Discover what shippers perceived as being their biggest hurdles in 2018 and what they believe 2019 holds in store. Take advantage of this resource to help plan your supply chain and shipping strategies for 2019. 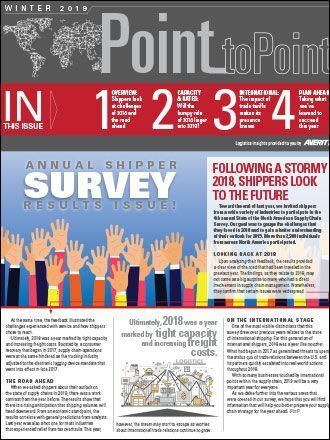 More than 2,300 shippers were surveyed to understand their challenges in 2018 and what they believe will be their biggest hurdles in 2019. Find out where shipper strategies shifted from 2017 to 2018 in terms of modal use. Take advantage of the results to prepare your shipping strategy for 2019.